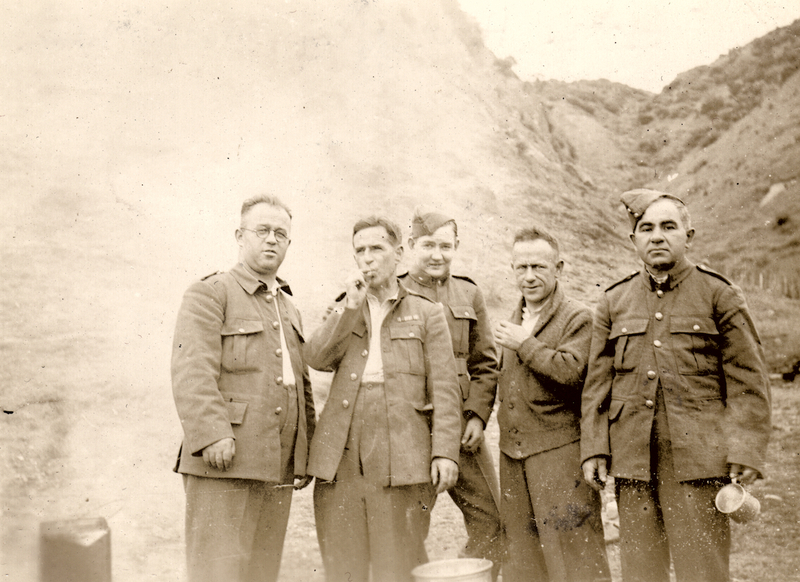 An overexposed photo of the cooks of C Company, Makara Battalion, New Zealand Home Guard, at Makara, 1942. They are L to R, Bryce, Casper, Kelly, Stewart and Cher(?). Lemuel Lyes Collection.